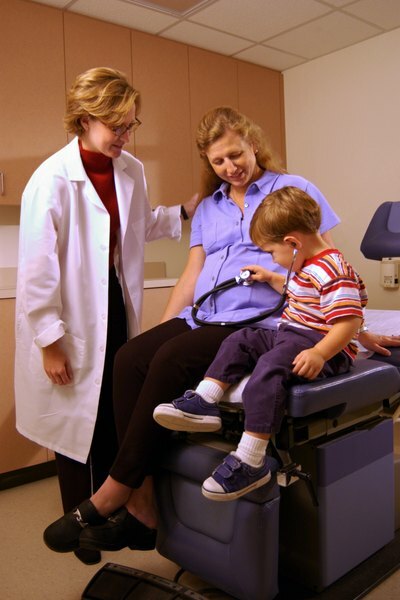 An obstetrician's main duty is keeping a pregnant woman and her child healthy. 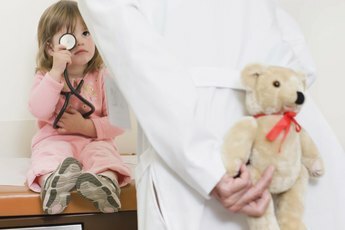 From the beginning of a pregnancy through the delivery of a baby, an obstetrician's primary job is monitoring the health of an expecting mother. Traditionally, obstetricians are cross-trained in gynecology, or the study of the female reproductive system, and have a keen interest in all facets of women's reproductive health care. Those committed to entering the field of obstetrics must dedicate themselves to earning a medical degree, completing a four-year residency and attaining a state license. With the proper education, training and credentials, an obstetrician can successfully perform her medical duties and provide women with quality reproductive health care. Earn a bachelor's degree by completing a program at an accredited college or university. Participation in a pre-med program is preferred, but not required. 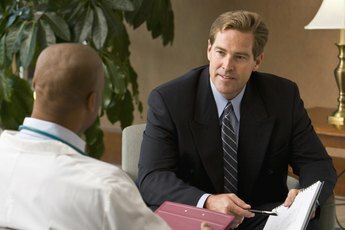 Complete medical school and earn an M.D. degree. The application process for medical school involves taking the Medical College Admission Test, submitting transcripts and letters of recommendation and participating in interviews with the admissions department. Earn a medical license. Medical school graduates qualify to take the United States Medical Licensing Examination, or USMLE. All states require the license of those intending to practice. Licensure is typically required before you enter a residency program. Complete a four-year residency training under the direction of a licensed obstetrician. Residencies are competitive, and some hospitals take as few as six to 12 residents a year. Become board-certified in obstetrics. The American Board of Obstetrics and Gynecology offers board certification to physicians who pass written and oral exams and demonstrate experience in the discipline.